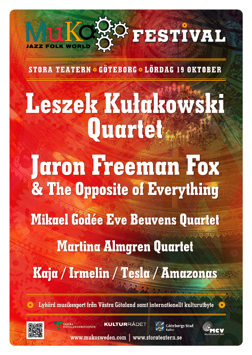 October the 19th in 2013 MuKo orginized a big festival/showcase event at Stora Teatern in Gothenburg with six MuKo groups and two extraordinary international acts from Canada and Poland that MuKo collaborates with! 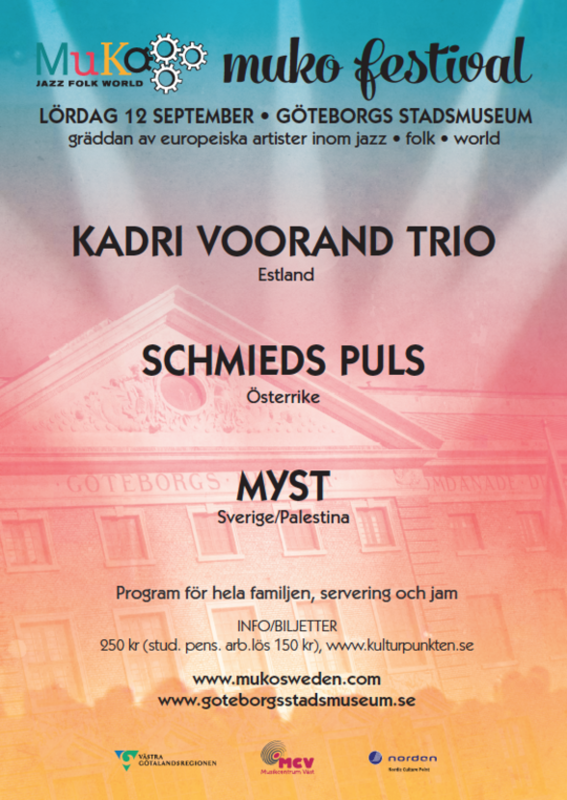 The festival day also included family concerts and a day reception for specially invited guests (agents, concert organizers, music organisations, festivals and more). It was a very nice occation with great concerts! 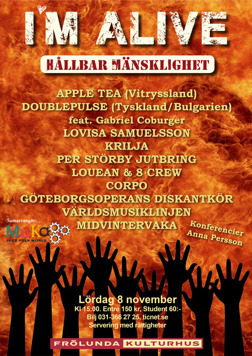 November the 8th 2014 MuKo organized their second festival "I'm Alive" in collaboration with Frölunda Kulturhus in Gothenburg.